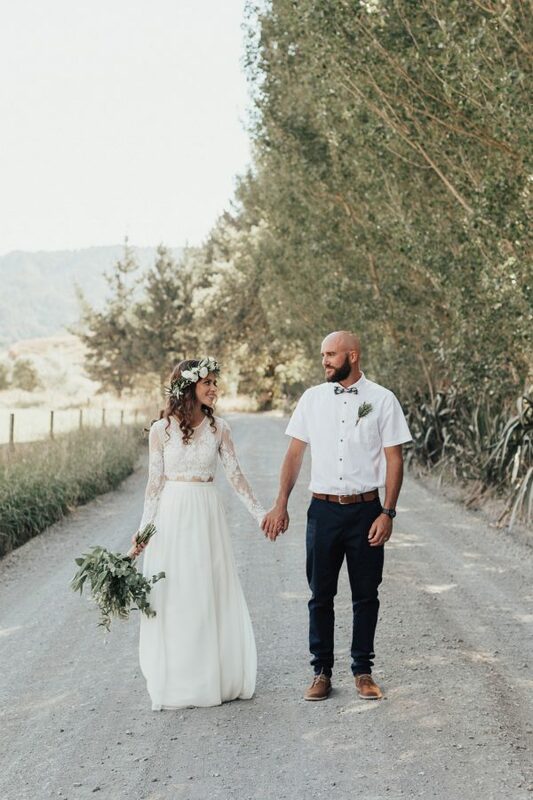 We’re huge fans of bridal separates here at Flossy and Willow Bridal Studios. They’re versatile, stylish and the perfect choice for a modern bride-to-be. 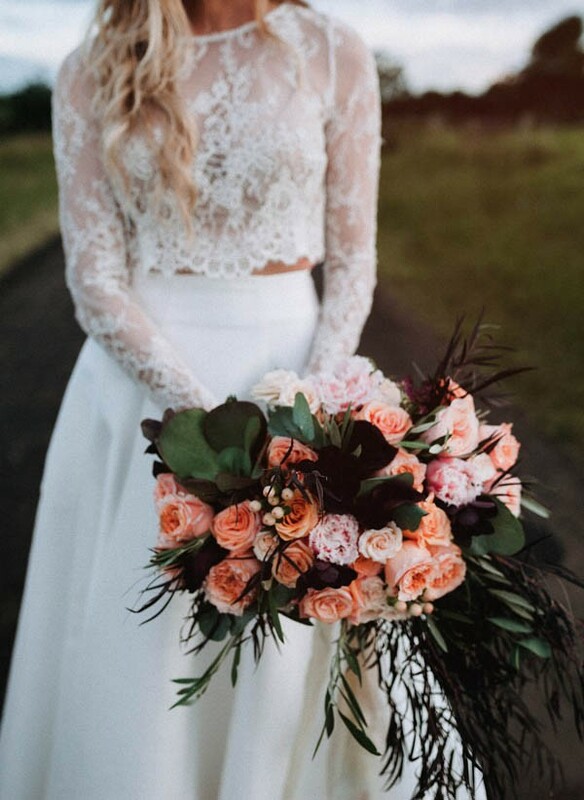 If you fancy something a little different to a traditional wedding dress, then consider rocking bridal separates on your big day. If you’re wondering why we adore bridal separates so much, listen up! These fashionable two-piece ensembles suit any style of wedding, whether you’re planning an elegant country garden affair, boho-inspired festival or an edgy industrial wedding. There are no rules when it comes to your aisle style, and there are so many gorgeous designs to choose from. One of the best things about bridal separates is their sheer versatility. Whether you want to don a lace crop top paired with chic trousers or a statement top adorned with sequins and a feathered skirt, you can literally put together any outfit and you’ll always look incredible. You can mix and match fabrics, textures and designs to create a bridal look that’s completely unique to you and your individual style. If you want to channel bygone glamour on your big day, consider pairing a feathered skirt with a black lace top. Black accents are one of the hottest bridal trends for 2018 and it’s a look that’s bound to turn head as you walk down the aisle. Alternatively, you could keep it classic by opting for a top bejewelled with elegant pearls and embroidery. The choice is yours – we recommend trying on lots of different styles to find one that is totally ‘you’. Do you love the idea of adding a touch of colour to your wedding outfit? You could opt for subtle watercolour hues of dusty blue, blush pink or olive green. 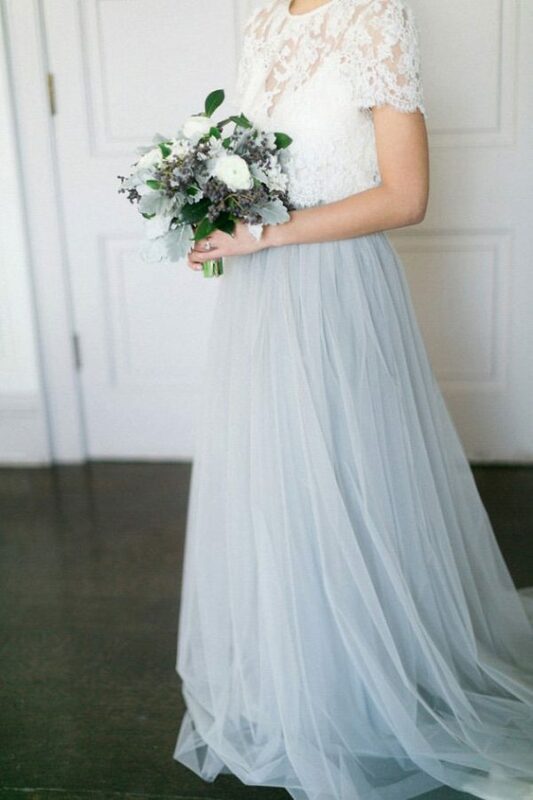 These pale pastel hues are wonderfully romantic and feminine, and they’re effortlessly easy to work together. But if you want to make a real statement, luxurious red or glamorous gold will look gorgeous as part of your two-piece ensemble. It’s your wedding day so wear whatever you want! 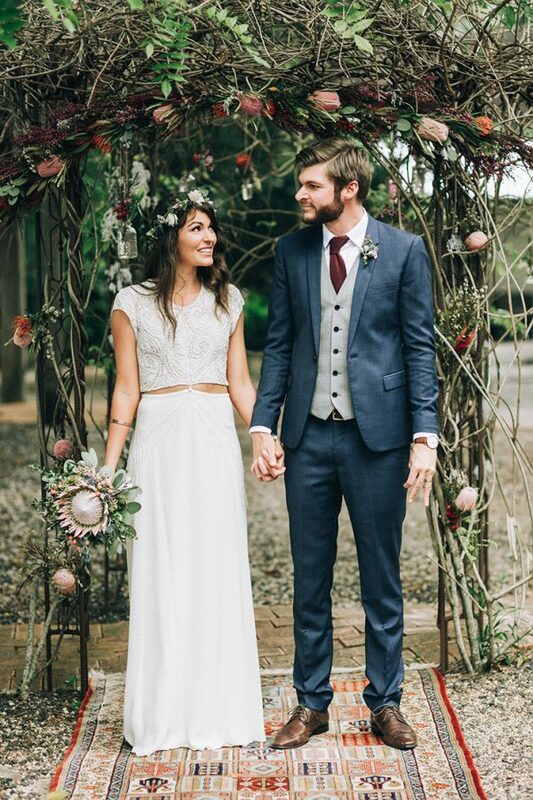 You can also mix and match bridal designers too! 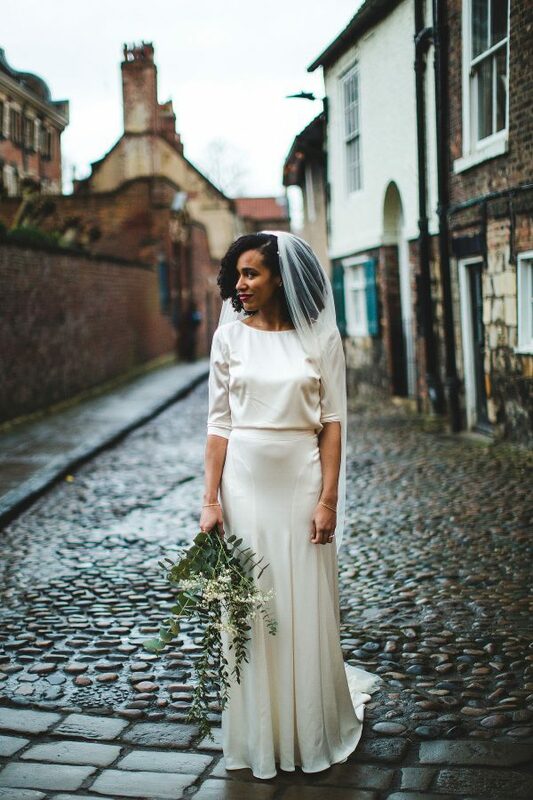 Catherine Deane and Willowby by Watters are renowned for their gorgeous separates so be sure to have a browse at our collection online or book an appointment here. If you are having a traditional wedding ceremony, why not wear a traditional gown for the day but change into a fun and informal two-piece ensemble for the evening? A bride can never have too many outfits for her wedding day, right? Just before you thought it couldn’t get any better, bridal separates can be worn again after your wedding day – meaning they don’t just get hidden away in your cupboard! If you adored wearing that sparkling sequin top, you can easily wear it again! Team it with jeans, heels or a new skirt and rock that top all over again! Bridal separates are undeniably stylish and they’re made for modern bridal babes who want to rock a statement look on their big day. Does this sound like you? 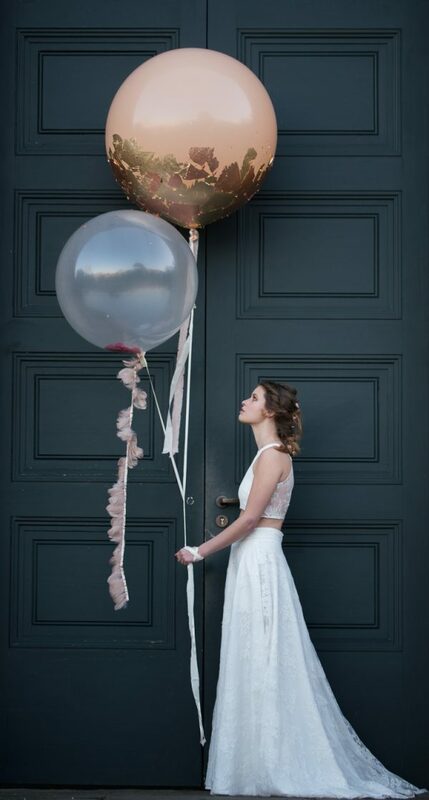 Then get in touch with Flossy & Willow Bridal Studios to browse our gorgeous collection.